All the beauty of fine art print enclosed in a book.A 37x28 wedding album with 60 pages . Covered in natural linen with different tones and a wooden box presentation. Elegant and minimalist, with white background and no ornaments. This photo book preserves your memories in the best way. 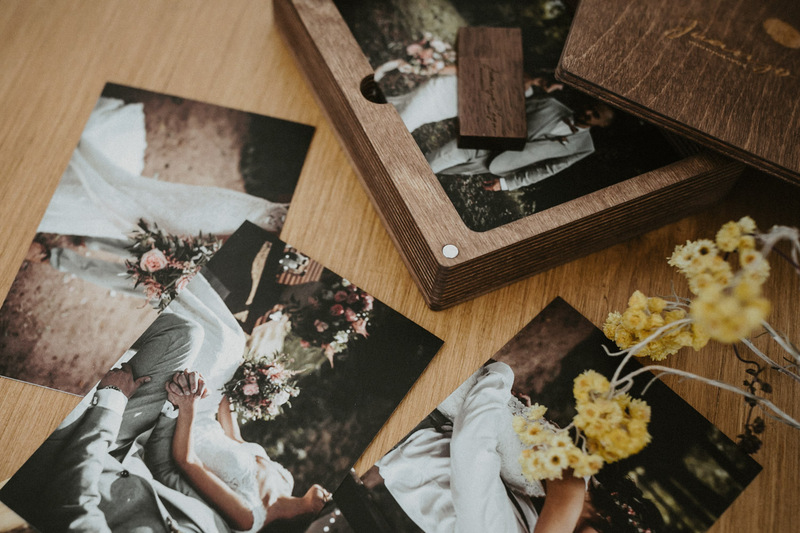 This beautiful engraved wooden box contains a wooden 16 gb USB stick with your wedding pictures in high resolution. And of course, some additional prints. Because take prints into your hands and share them with others enjoying a glass of wine is a genuine delight!